We envision Central Texas as a place where everyone recognizes and embraces the benefits of cycling, whether they ride or not, and where cycling is a common aspect of daily life for everyone. Central Texas has a comprehensive bicycle network enabling people in the region to comfortably, safely and efficiently use a bike for transportation and recreation. Bicycling supports the community as a whole by: increasing roadway capacity and user mobility; strengthening the economy and household affordability; improving the environment; and promoting an active, healthy lifestyle. This plain vanilla ride to Manor heads east on 51st, north on Springdale and Cameron Road and winds around into Manor. After a brief store stop, we'll return by way of Blue Bluff, ... moreLindell Lane and, after a brief jog on the bike trail, we'll ride through the neighborhoods back to the Peddler. Cyclists who want more miles can ride from Manor to Bitting School Road or Elgin before heading back to Austin. Start later than Tom, ride shorter. DESCRIPTION: Variation on Bike Austin’s Milmore’s Man. Generally low traffic roads and not too hilly. Note: no rest stop. AVERAGE SPEED: 12 - 14 mph. A guide only; actual pace depends on the group and to maintain this average, there will be some significantly faster stretches. TERRAIN: Rolling. 1100 ft. of total climbing. RIDER LEVEL: Experienced, self-confident riders who are comfortable and very safe in a group riding situation which could include pace-line riding, hilly terrain and exposure to some rural traffic. LUNCH/COFFEE? Maybe lunch at the local deli? · Helmets are mandatory on all my rides. · Ride will be “no drop” but only assuming riders have properly matched themselves to the ride description, average speed and terrain. · Please arrive early enough to prepare yourself + bike, have the 5-minute safety briefing to be ready for an on-time departure. · In case of inclement weather, check this web site and/or my emails early on the morning of the ride. 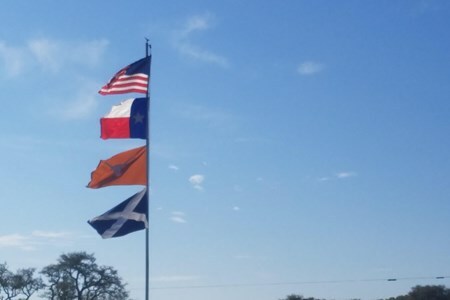 · I also have a Google Group (Austin and Central Texas Cycling) in which we discuss upcoming rides and miscellaneous cycling stuff. Email me (address above) if interested in joining – you can always unsubscribe yourself if you later decide you have no interest. We'll start from Fritz Park in Hutto---on the corner of Live Oak St. & Park Ave. On the east side of Hutto, north of US 79. See the start location map below---("click" on the ride ... moretitle to "open up" the start location map & address). This route takes us through the quiet farm/ranch lands of south Williamson County & northeast Travis County. We'll travel on some quiet, country roads (some are chip seal and a little bumpy---air up your ties accordingly!) for a no-drop ride, with re-grouping as needed at the next turn. We'll go east out of Hutto, riding just southwest of Taylor: then riding east & south of Coupland to make a quick visit with the Donkeys!! Then we'll ride south on the west side of Elgin and then ride northwest on our way back to Hutto. We'll have a STORE STOP on the southwest side of Elgin (Doc's Country Store) at 34 miles. Less than 1435 ft. of climbing per RIDEwithGPS. NOTE II: I do not have maps of this route, but good Q-sheets will be provided and the RIDEwithGPS link is provided here for downloading. Come with your equipment ready to ride 58 miles, in time to get signed-in and participate in the starter's meeting at 8:15 AM, for a prompt roll-out at 8:30 AM. Hoping for GOOD weather! Check this posting ride day morning in case of a weather cancellation or any updates. Start later, ride shorter, meet for optional lunch. DESCRIPTION: Easy, flattish 30 mile loop with store stop at mile 20. AVERAGE SPEED: 12-14 mph. A guide only; actual pace depends on the group and to maintain this average, there will be some significantly faster stretches. RIDER LEVEL: Experienced, self-confident riders who are comfortable and very safe in a group riding situation which could include pace-line riding, hilly terrain and exposure to significant urban traffic. LUNCH/COFFEE: Panerra Bread. Stone Hill Town Center, 18701 Limestone Commercial Dr, Pflugerville. Ride is on, darn it. Average speed will be 13-14, but there will be some stretches of sustained 15-20. This is a no drop ride and we will regroup at hilltops and turns as necessary. Riders should bring helmet, water, spare tubes, and emergency id. Please leave headphones, earbuds, and loudspeakers at home. Parking is available north of 51st on Duval and on side streets close to Duval. Please don't park in the alley behind Peddler and Flight Path. We will have refreshments and conversation at Flight Path or Home Slice after the ride. DESCRIPTION: An urban ride that manages to avoid any serious hills in spite of being on the NW side of town. It combines bits of three of our other rides and goes Rosedale > Mesa > Jollyville and then back via a similar route. We try and avoid heavily-trafficked roads whenever possible. Optional store-stop en route. AVERAGE SPEED: 12 - 15 mph. A guide only; actual pace depends on the group and to maintain this average, there will be some significantly faster stretches. TERRAIN: Generally “flatish” with a couple of rollers. LUNCH/COFFEE? Optional coffee at either Monkey Nest, Pacha’s or Houndstooth. We'll keep trying until we can DO this ride! We'll be detouring by the "Donkey Farm" to see & feed the donkeys! This is the very nice scenic rural ride from northeast Travis County ... moreinto southeast Williamson County and then through northwest Bastrop County. We'll do a moderate "B" pace (14-16 MPH) and re-group at all major turns. We'll travel into northwest Bastrop County on some shady country roads and ride by the 8 Point Ranch, home to many exotic animals (Zebra, Antelope, Deer, Buffalo, Elk, etc.). There is a store stop at 34 miles in Elgin. Note I: I do not have maps, but Q-sheets will be provided and the RidewithGPS route map is attached for electronic downloading. Note II: Helmets are required on all Bike Austin rides. Please come, with you and your equipment ready to do 50 miles, in time for a 7:45 AM riders meeting so we can roll promptly at 8:00 AM. We'll start and end at the "Good Luck Grill". 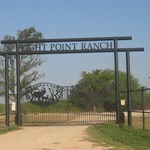 It is located at 14605 North FM 973; that is 1.8 miles north of US 290. Go east out of Manor on US 290. Turn left (north) on FM 973 for approx. 1.8 miles, the Good Luck Grill is on the right (east). Please use the parking lot area closest to the road---away from the restaurant. All are invited for conversation and lunch afterwards at the "Grill"---they have a very nice veranda (that's "back porch" in plain talk). Please check this posting ride day morning for any possible weather cancellation. DESCRIPTION: A short, urban ride up to the beautiful St. Edwards University. TERRAIN: Flat to rolling but some short, sharp hills going north through Tarrytown. DESCRIPTION: The new Dripping Springs Double Popsicle is a ride that encompasses several of the pretty roads south of Dripping Springs but avoids the worst of the low water crossings. Note that there are no rest/water stops and so, in the summer, be very well prepared. AVERAGE SPEED: 12-15 mph. A guide only; actual pace depends on the group. To maintain this average, there will be some significantly faster stretches. RIDER LEVEL: Experienced, self-confident riders who are comfortable and very safe in a group riding situation which could include pace-line riding, hilly terrain etc. I also have a Google Group (Austin and Central Texas Cycling) in which we discuss upcoming rides and miscellaneous cycling stuff. Email me (address above) if interested in joining – you can always unsubscribe yourself if you later decide you have no interest. Ride is on. Going to be chiily. Posting Drippingsprings to Blanco again. Last time we had issue with crossing Blanco on Red Coral Ranch Rd. checked last Friday and it was dry (see picture) assuming recent rains will ... morenot change status. Forecast looks good but a bit cooler, so dress accordingly. Not been riding so not planning on a agressive ride other than having to get over the hills. Very much an out and back route only overlaps with our usual Dripping to Wimberly ride a for a few miles at the start. We hit some great country roads "Red Coral Ranch rd" and '"Chimney Valley rd" which parrallel the Blanco for a number of miles. A stretch into Blanco ~5 miles on FM165 where we need to go single file but should be fine for a Sunday ride. Overall about 2800ft of climbing but mainly rolling no really step sections. Not planning on a killer pace and lots of easy re-group points at the major junctions. One store stop in Blanco at the turn around point. We can discuss lunch options after the ride if anyone is interested. For those of you who want a Strava link see path below. Avoids water crossings for the most part a few on "Red Chimney ranch rd" but easy to spot and unlikely to be an issue. Helmets are mandatory on all my rides. Ride will be “no drop” but only assuming riders have properly matched themselves to the ride description, average speed and terrain. Please arrive early enough to prepare yourself + bike, have the 5-minute safety briefing to be ready for an on-time departure. In case of inclement weather, check this web site and/or my emails early on the morning of the ride. 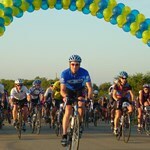 The Central Texas Community Ride New name, same great ride! The annual event is returning in 2017, this time starting in Georgetown, Texas. Beginning from Rentsch Brewery, the ride ... morewill be a scenic route through the Georgetown and Austin area with 4 different mileages- approximately 12, 21, 40 and 62 miles for varying riding expertise. Along the path will be rest stops and after the ride, beer will be served from local breweries along with a barbecue meal. Regular Registration is $60 and is tax-deductible. Non-riders wanting to support the cause can purchase a meal ticket or make a donation on the registration page. 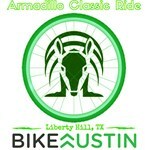 The Armadillo Classic is an amazing ride for cycling enthusiasts of all ages, ride preferences and abilities that wanders through the Texas Hill Country and The Balcones Canyon-lands ... moreNational Wildlife Refuge. 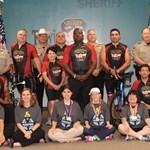 The ride will start and finish at Liberty Hill Elementary with various routes for all ages and abilities. 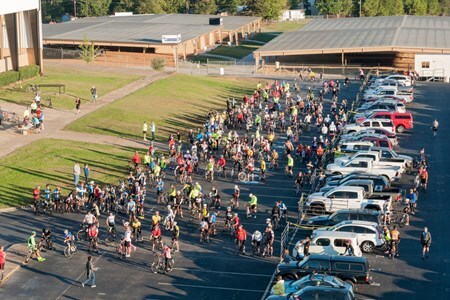 Register to support the only cycling event around town that helps raises money for cycling. We need your support to allow us to keep doing what we do: To improve the quality of life for all of Austin and Central Texas by growing bicycling as a form of transportation, exercise, and recreation. Proceeds will again support the Bike Austin and the Education Fund to advocate for your rights and to educate the community of all ages and abilities to safely experience the joys of bicycling in Central Texas. We will offer free classes to community at large and corporations alike on how to utilize active transportation methods. 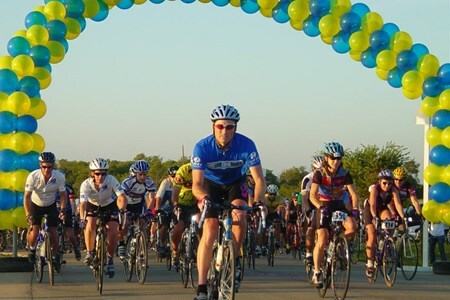 Register today and enjoy the beautiful rolling scenery and wildflowers, get a great ride in & do something good for the Austin & Central Texas community at the same time. Sponsor & Vendor Opportunities are available. Mission to Mission Charity Bike Tour celebrates Mission Park Pavilions . This beautifully redesigned public space was formerly known as Mission County Park #1. On the historic missions ... moretrails, Pavilions is the perfect gateway by dedicated bike paths to the Spanish Colonial Missions - now a World Heritage Site! Tour de Gruene 2016 will be hosted once again at the scenic Lazy L & L property on beautiful River Road. Surrounded by limestone cliffs and encircled by the Guadalupe River it’s ... morehard to imagine a more scenic location than this property. It is a time to enjoy the camaraderie alongside fellow cyclists who share your love of cycling the magnificent central Texas countryside. Team Time Trials are a competition but no racing license is required. Two person teams begin 30 seconds from the next team and then race 26.4 miles against the clock for awards in various gender, equipment, age, and ability divisions. We also have tandem and co-ed divisions! Teams will be seed started according to their predicted average mph for the course. Last year's winner(s) and any course record holders are given the honor of being seeded last. 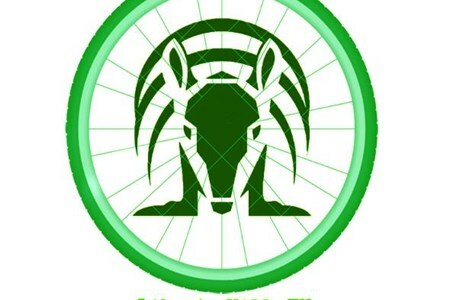 Our Post Ride Celebration will include a catered lunch awards ceremony under the spacious and modern pavilion at the Lazy L & L. Horseshoes, washers and sand volleyball courts surround the pavilion. Like to camp or RV? 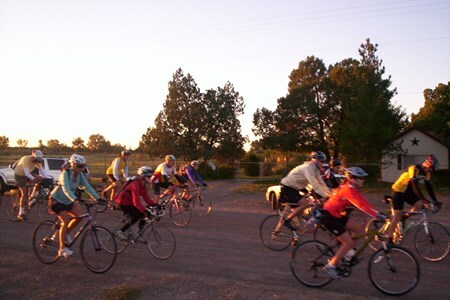 Reserve a site through L & L and gather with other cyclists along the river for the weekend. Also included in your entry is a ticket into Wurstfest – a local German festival with good food and the finest in Alpine and Bavarian style entertainment. And of course our classic, quality t-shirts featuring a graphic as redesigned by Roger Christian and Company rc-co for our event. We look forward to seeing everyione in November for a spectacular race and fun gathering. The Sally M. Kingsbury Sarcoma Research Foundation of New Braunfels is our chosen charity as well as a few local church and school groups. 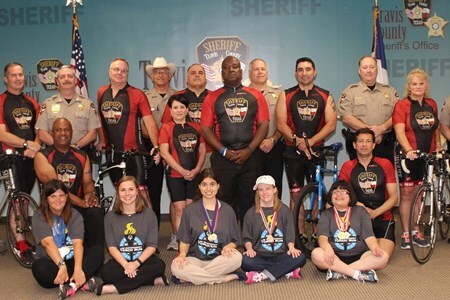 Travis County Sheriff ’s Office and Special Olympics Texas (SOTX) invite you to participate in Road Share, a cycling ride benefitting SOTX athletes in the Central Texas area. Your ... moreparticipation helps provide sports, inclusion and health programs for children and adult athletes with intellectual disabilities. 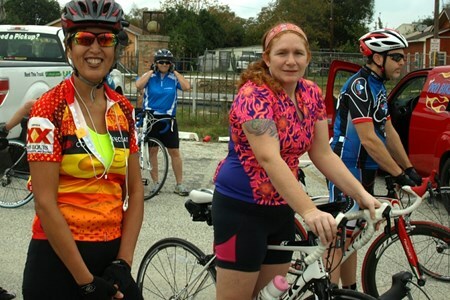 Road Share is also a collaborative effort to promote safety standards for cyclists and motorists of Travis County by encouraging the community to join in the commitment that all passengers on the road look out for each other, so that we can all reach our destinations safely. 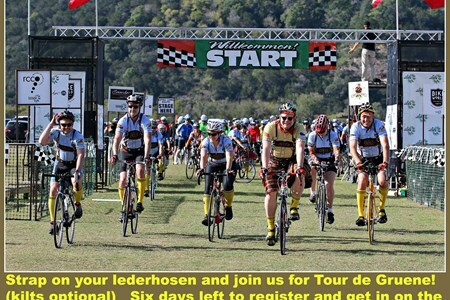 Tour de Gruene 2016 will once again race along beautiful River Road. 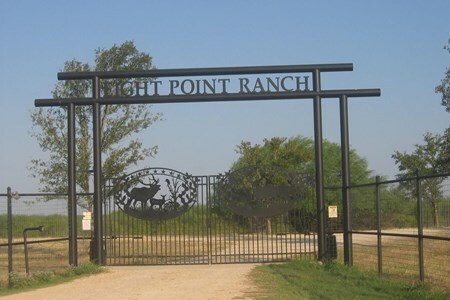 Surrounded by limestone cliffs and encircled by the Guadalupe River it’s hard to imagine a more scenic start location ... morethan the Lazy L & L valley property. It is a time to enjoy the camaraderie alongside fellow cyclists who share your love of cycling the magnificent central Texas countryside. Individual Time Trials are a competition but no racing license is required. Racers begin from a starting ramp and start 30 to 60 seconds apart and then race 15.5 miles against the clock for awards in approximately 45 different gender, equipment, age, and ability divisions. Racers will be seed started according to their predicted average mph for the course. Our Post Ride Celebration will include a catered dinner awards ceremony under the spacious and modern pavilion at the Lazy L & L. Horseshoes, washers and sand volleyball courts surround the pavilion. Like to camp or RV? 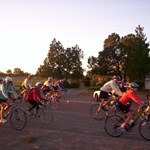 Reserve a site through L & L and gather with other cyclists along the river for the weekend. Also included in your entry is a ticket into Wurstfest – a local German festival with good food and the finest in Alpine and Bavarian style entertainment. And of course our classic, quality t-shirts featuring a graphic from a repurposed vintage posters as redesigned by Roger Christian and Company rc-co for our event. We look forward to seeing everyione in November for a spectacular race and fun gathering. The Sally M. Kingsbury Sarcoma Research Foundation of New Braunfels is our chosen charity. 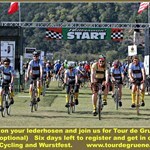 Tour de Gruene Fall Bicycle Classic hosts cycling tours and competitive time trials along beautiful River Road in New Braunfels, Texas. Surrounded by limestone cliffs and encircled ... moreby the Guadalupe River it’s hard to imagine a more scenic location than the Lazy L & L Campground valley property. 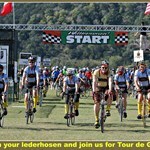 Tour de Gruene is an amazing ride – offering six different tour routes between 14 and 65 miles. 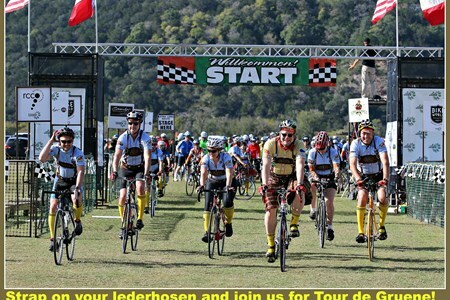 Tour de Gruene is a time to enjoy the camaraderie alongside fellow cyclists who share your love of touring the magnificent central Texas countryside. Horseshoes, washers and sand volleyball courts surround the pavilion. Like to camp or RV? Reserve a site through L & L and gather with other cyclists along the river for the weekend. Current Event rates are posted below in the Registration Information section. We look forward to seeing you in November for a spectacular ride. Our chosen charity to benefit is the Sally M. Kingsbury Sarcoma Research Foundation of New Braunfels. Wheels & Heels for Meals is one of the Food Pantry’s largest fundraising events. It began in 2009 and grows every year. 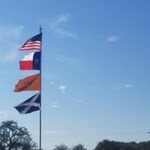 Our 88-mile ride begins at the Food Pantry, in the town ... moreof Fort Davis, TX, and meanders along beautiful, scenic roads to the town of Valentine and then back. It is designed for everyone from the occasional rider to the experienced cyclist. No one is required to ride the entire 88 miles and it is not a race. Along the way, there are two pit stops with food, shade, portable toilets and wet towels. Then in Valentine, lunch is served with music and surprises. One year we even had an apple bobbing contest! In 2013, we introduced a new, shorter, fun route called the Princess Tour. And at only 17 miles of mostly downhill, scenic roadways and chock full of pampering extras, you will know why it was named as such. On the Princess Tour, you are treated like royalty. First, you are whisked to the top of the mountain starting point (Bloys Camp) while enjoying scrumptious pastries, orange juice and espresso. At the finish your paparazzi awaits to rejoice with you in your success! And also, beginning in 2014, the Wheels For Meals event became the Wheels & Heels For Meals. We added a new walking route for those that would like to participate in the fundraising and sights but aren’t comfortable biking the longer distances. The walk portion entails a 1, 2, 4 or 8 mile course. Imagine miles of rolling hills and thickly wooded forests! The Pineywoods Purgatory-fall's premier cycling event-offers four rides ranging from 25 to 102 miles that take you through ... moreTexas Forest Country's best! Don't let the first few miles fool you-the terrain is not without challenge! And to cap off your ride, the Angelina Expo Center and its cadre of volunteers and partners offer unmatched hospitality to riders and their guests. When you finish your course, return to the Expo and a Beer Garden, live music & fajitas. Then it's not just a ride; it's a weekend experience with Lufkin's Downtown Bistro on tap for Saturday night at 7:00 p.m.
Saddle up Pardner for the 30th Annual Outlaw Trail 100 Cycling Tour scheduled for Saturday, October 8th starting 8am in Old Settlers Park. 10 mile, 25 mile, 40 mile, 50 mile, 100 km and 100 mile loop courses will meander through historic eastern Williamson County. Aid stations, bike repair and sag wagon support will be on all courses to assist cyclists on their journey. Outlaw Trail isn’t competitive; it is an opportunity to join cyclists from across Texas for a ride across Williamson County. There are rest stops set up along the trail for cyclists to grab some snacks or a drink. Riders can ride at their own pace and rely on support from sag wagons and rest stops thr oughout their ride. The tour closes at 5 p.m. so cyclists should select a course they can finish within that time period. 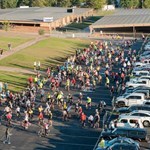 This event is Saturday, Oct. 8, with 100 mile riders taking off at 8 a.m. with a staggered start. No rider will start after 8:30 a.m. The course will close at 5 p.m. Parking is available in the Dell Diamond parking lot (at park entrance). First 950 bandits receive an Outlaw Trail 100 shirt, ticket to the Cyclist Social Pasta Dinner, and other Miscellaneous items. Plus, as a rider you enjoy sag wagon support on the course, fruit and sports drinks, and a meal after the tour! There is a Pasta Dinner for registered cyclists at the Old Settlers Association Tabernacle on Friday, October 7 from 5 to 8pm. Guests can pay ahead of time or at the door. Cyclists must pick up their packet and pasta dinner ticket prior to entering the dinner. Saturday morning munchies will be provided, and following your ride, we’ll have more grub for you to enjoy. Sag wagons from Round Rock Parks and Recreation will provide road assistance and transport for those unable to complete the tour. Bicycle Sport Shop will provide emergency bicycle repair on the course; however, be prepared to handle your own flats and minor repairs. Remember, the course closes at 5 p.m.
Rest areas will be located at 12-14 mile intervals. Water, fruit and other snacks will be provided in addition to portable toilets and medical assistance. This event will be held rain or shine unless extremely dangerous conditions exist. No refunds will be made. Participants will be started according to distance traveling – longest distance riders will leave first. All traffic laws must be obeyed at all times. Helmets are required. Please ride only what you have trained for. 100 mile cyclist need to pass Aid Station #2 and be on the way to Aid Station #3 by 9:45 am.